With its studios taking over the U.S., Stockholm, Sydney, and Dubai, Barry’s needs no introduction. It is one of the most successful fitness facilities ever created! Additionally, with its amazing weekly schedule, you can work on a different muscle every day. For example, Mondays are for abs and arms, Tuesday are for legs, and Wednesdays are for chest. Because of its intense exercises, Barry’s offers delicious shakes to help you beat your post-workout soreness. If you’re the kind of person who likes the outdoors, then Skydive is the perfect place for you! It has a huge playground for everyone to exercise in. It has punching bags, tires to flip, climbing ropes, and a sprint track. Plus, you can always bring your own equipment and exercise in the green area. They also have weekly scheduled workouts that vary between hard-core workouts and chilled out yoga. It is the perfect place for cardio and hard-core barre exercises. The class is basically a mixture of loud music and highly energetic trainers who will leave you sweaty within minutes. Their classes are guaranteed to get your heartbeat racing and your muscles toned. Each class is 60 minutes long and enables you to work on your entire body; you’ll work on muscles you didn’t even know realize existed! Leaving extremely sweaty and sore actually feels absolutely AMAZING! It’s one of the best yoga studios in Dubai; it’s this little shiny place in the heart of downtown. The perfect place to fully embrace the yogi lifestyle that leaves you balanced after a long day of work. The studio also offers yoga attire, as well as mats and all kind of props. It offers an extensive range of classes like Hatha, Vinyasa, hot yoga, and hot Pilates. 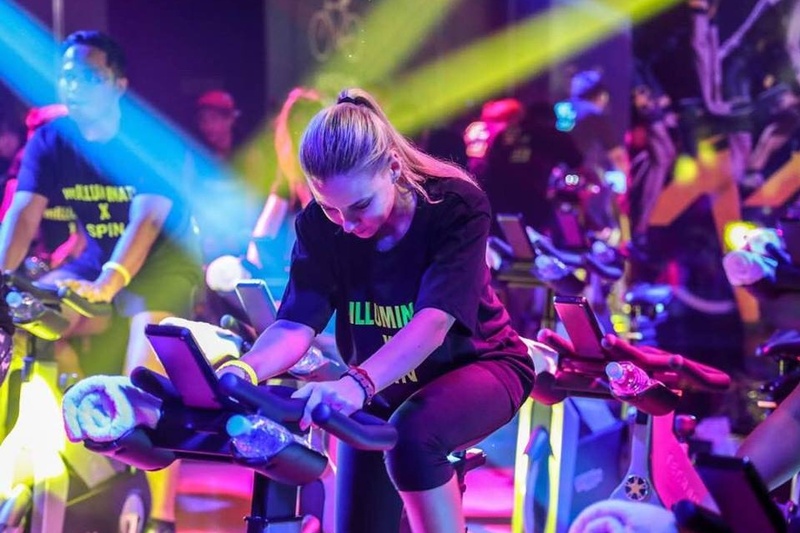 It’s one of the best venues to hit up for spinning classes. With cycling being such an individual sport, Flywheel has really nailed it. Each bike shows both the resistance and your actual speed. Not just that, but the trainers are also incredible; they will tell you what you should be doing at all times. If you’re in for some serious cardio, Flywheel is totally worth the sore bum! It’s a women’s only fitness club. In Shape is a place where ladies can find not only amazing fitness classes, but also privacy, comfort, and support. It delivers high-quality service for women, to empower them and make them feel fit, unique, and confident. It has plenty of ways to help you get in shape, focusing on weight and personal training classes. It’s also worth mentioning that it’ currently offers a free week trial to their new members. So, you won’t have an excuse not to go! A dance training institute where you can properly learn how to shake it! 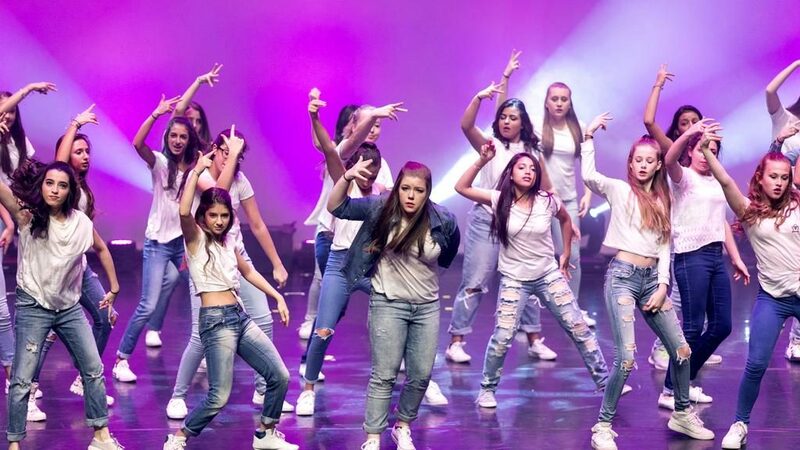 The place was established in 2006 and they teach dance to students starting from the age of seven onwards, and their classes can be in groups or done individually depending on what you prefer. They currently have more than 700 students enrolled, with such rich experience, Sharmila has discovered the best methods of teaching dancing to train the youth of today to become tomorrow’s professional dancers. This center is dedicated to everything related to pilates. It offers a various range of classes from Pilates mat, reform, circuit, and pole. The center offers four studios fully equipped; it is the best place to get physically fit and mentally balanced. It was ranked as UAE’s best health and fitness center in 2013 by the Sports Facility Awards. It offers about 17 classes a week and 14 different levels of strength depending on your ability. Offering barre-based workouts, from beginners to advanced classes. This place was first established in 2013, and it made use of ballet bars mixed with strength training and Pilates exercises. This is what Dubai’s fitness scene was missing, with its 57 minute-workout the place has gathered a lot of members because of its ballet moves merged with strengthening and cardio exercises. A fitness center where you can workout in notorious black light and burn about 1,000 calories in just 50 minutes! The place is not like your usual gym with its minimalist interiors and chic lightning, the place is more of a health and wellness center, if you become a member they won’t just offer you a fitness program but also a nutritious diet plan. The most popular class they have so far is CrossFit which focuses on your body strength from head to-toe. Reformer classes are mainly Pilates classes that help you control the flow of your movements and increase your connective tissue strength and stamina. It is the perfect place for you if you want to increase your strength and flexibility, as well as your posture and physique. They offer exceptional classes for both beginners and advanced members. Their 60 minutes workout will help you enhance your muscle tone and the overall wellbeing. They offer Pilates classes on a yoga mat at the one hundred wellness center Jumeirah one. These classes help you improve your core control and strength, as well as your balance and standing alignment. They use various tools in their classes like straps, poles, and bands in order for help you get into the right position or help you get in the right posture. They divide their classes according to levels so that members can really make the best out of the class they choose. A yoga and Pilates studio mixed into one; all of the instructors at the studio are internationally and highly certified to ensure that you experience the full authentic yoga and Pilates vibes. They provide their members with a diverse range of yoga classes to choose from including Hatha, Vinyasa, and power yoga. They also have Pilates and mat pilates, as well as reformers. It is definitely one of a kind gym; with walls covered in graffiti drawings with edgy mood lighting. It offers a range of group training classes like boxing, TRX, cycling, and CrossFit along with professional trainers. With 20,000 square feet of space, the place will allow you to move around and exercise freely. The Warehouse contains training areas along with a huge selection of free-weights, and all the equipment you need. 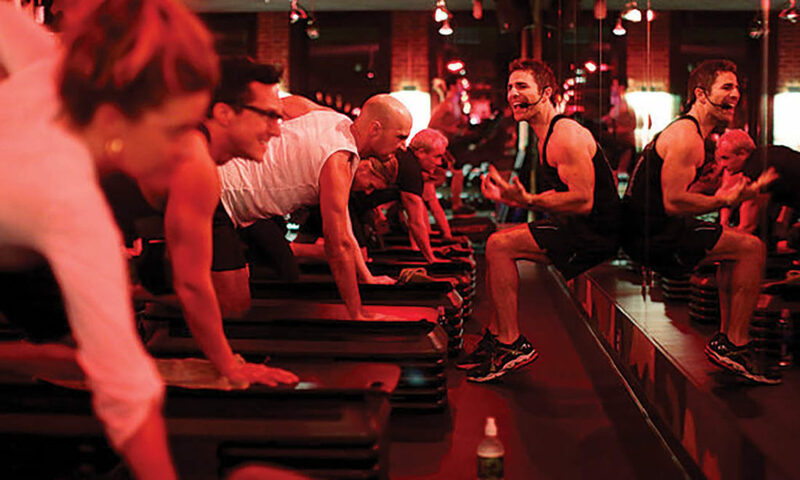 This fitness place offers the best workout for you as it is inspired by the fast paced life of New York. Talise is all about keeping it real and convenient for your fitness inspirations. Always keeping their members driven by offering world-class fitness facilities equipped with the latest technology. This along with the highly experienced trainers who will manage to keep you engaged in the most innovative programs. An unlikely find anywhere in the world, this parkour gym is all about learning new flips and all kinds of cool tricks. 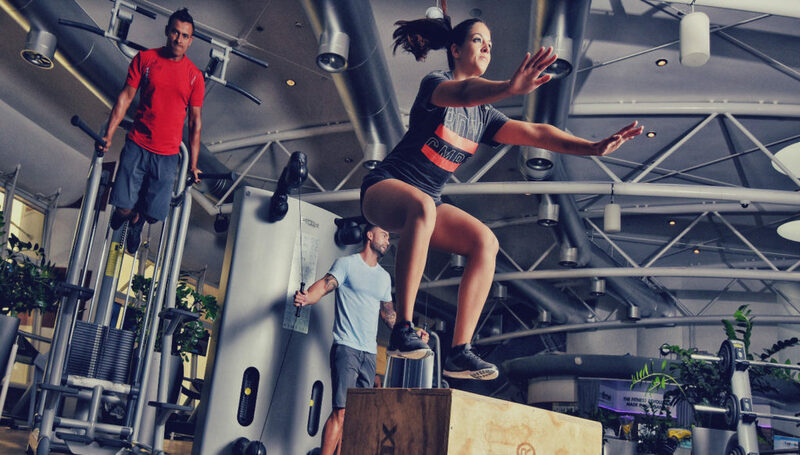 Gravity is considered to be Dubai’s first movement academy; it has experienced functional fitness trainers from all around the world bringing their members the best in teaching, training, and self-defense. They also provide classes like Yoga and flexibility. It is a destination that is extremely popular in Dubai. 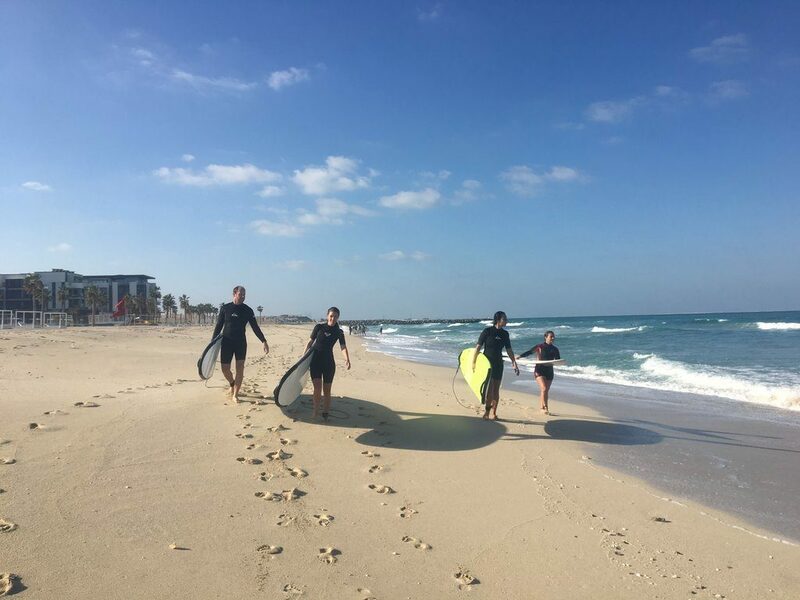 Whether you’re a professional surfer or just a first timer, wanting some sunshine and warm water, then you should definitely check out The Surf House. Simply because it is considered to be the center of Dubai’s surf community. It is the house of everything starting from surfing to stand-up paddle boarding with diverse options for different abilities and ages. If you’re looking for endless sunny afternoons, then Drift Beach is the one for you. It is a private beach club with stunning views, it is basically where luxury and chic meet simplicity. Although the rule is anyone who’s under 16 is not allowed to enter the beach, it’s the perfect location for a laidback, chilled time. You can enjoy the water workouts along with the chill music and you can always grab a drink and just enjoy the sun. WE SAID THIS: A person who’s capable of leading a healthy life is capable of enjoying it to the fullest.